Boca Raton, FL – (July 2015) – Gift registry search engine RegistryFinder.com has added premier luxury bridal jewelry and registry retailer Michael C. Fina to its extensive list of affiliate partners. Created by wedding and etiquette expert Cheryl Seidel, RegistryFinder.com now partners with 35 diverse retailers ranging from the affordable Bed Bath and Beyond and Target to the more luxurious Bloomingdales and Neiman Marcus. The addition of Michael C. Fina gives RegistryFinder.com users a more expansive group of stores to shop from. 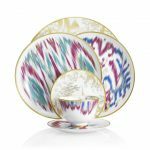 Founded in New York in 1935, Michael C. Fina is a family owned and operated luxury tableware and jewelry retailer based out of the heart of Manhattan. Having dedicated 80 years to quality and craftsmanship, Michael C. Fina carries a comprehensive selection of fine tableware, home décor and gift items that make it the premier destination for savvy luxury gift givers. 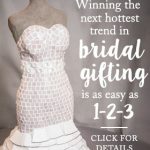 A fan of gift giving herself, Seidel invites brides-to-be to enter the “Win a Custom Mosaic Dress Sculpture” sweepstakes. Partnering with Aspen-based mosaic sculpture artist Shelly Hamill, Seidel will select one lucky winner to receive a custom mosaic dress sculpture, valued at $4,500-$6,500. The intricacy of Hamill’s delicate work is unmatched: she is able to reproduce even the smallest details—down to decorative flowers and textures—as well as incorporate personal inspirations, such as the bride’s wedding china. Shelly’s delicate attention to detail and quality results in a 3-6 month turnaround time for the 48” commissioned sculptures. To enter the contest, which runs until October 1st, 2015, please visit: http://www.registryfinder.com/blog/dress-sculpture-sweepstakes. RegistryFinder.com is an intuitive search engine that helps gift givers quickly and easily find online registries for weddings, baby showers, graduations and more. 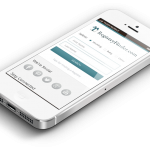 Created by gifting etiquette expert Cheryl Seidel in 2012, RegistryFinder.com streamlines the gift-giving process by instantly providing the user with direct links to the recipient’s registries. The site has affiliate relationships with more than 30 major retailers, including Bloomingdale’s, Macy’s, Crate & Barrel, Target and Bed Bath & Beyond. 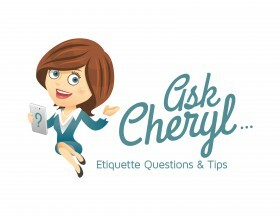 Seidel, a mother of two with more than 22 years of marketing experience, is an etiquette expert who regularly writes about registry and etiquette tips on her blog at RegistryFinder.com. The Floridian is active in her community and donates 10 percent of profits from RegistryFinder.com to charities that help children. For more information, visit www.registryfinder.com.